Our work isn't about teeth—it's about hearts. It is about holistic transformation of each person we meet. It is about transformation that restores hope. Each person we have the privilege of treating has a story that matters. We empower them to transform their story and their future by improving their health, building their confidence, and restoring their hope. Henry is a hard-working, dependable electrician in Uganda. He has helped the Hope Smiles team with different electrical problems we have had over the years, but never could find the courage to sit in the dental chair for us. He knew he had dental problems, but only knew of people who had “terrible” experiences with dentists. After MANY appointments, Henry now has a healthy, good-looking, functional smile! He hugs our staff members when he comes to his recall appointments, and he is just a delight to serve. He tells us people don’t even recognize him anymore…in a good way! And he told Dr. Ryan he “never imagined” he could smile like he does now! “After everything I’ve been through, in the military, in prison, on the streets and now at The Bridge, I’ve found that, though it might not happen the way you want it to, as long as you keep the faith, you’ll come through. Even when you think you’re going it alone, there are people who’ve been put there to help you through, and the team at Hope Smiles are some of those people. We thought originally all Hope Smiles was going to do was just pull a tooth or something. We didn’t realize what we had in store for us and when we found out that they were going to give us a new smile completely, it was totally unreal. 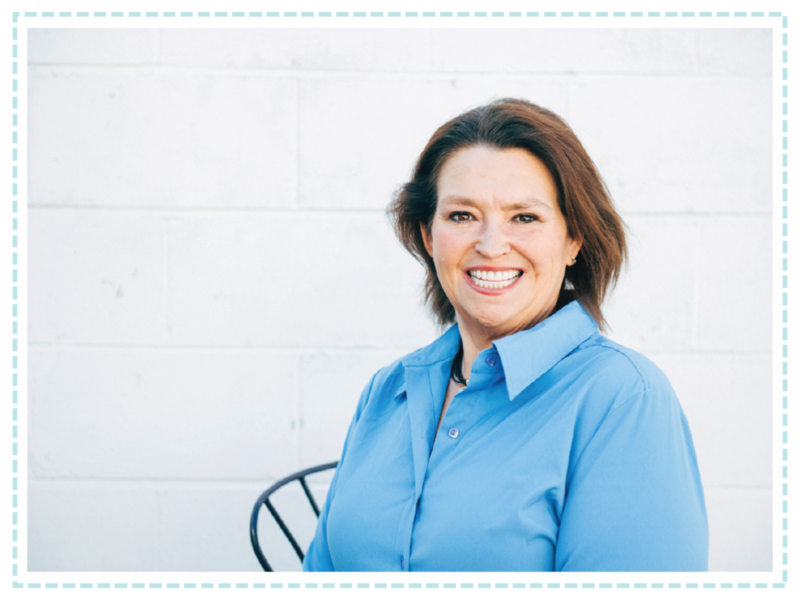 Rose is a feisty, fierce woman who works hard each and every day. But it is hard to work when your teeth are causing so much pain. She knew about dentistry, but did not think she could afford it. Desperate, she came to the Hope Smiles clinic in Jinja. Our team educated her and made a plan to restore her dental health. Most important to her, the sliding scale fees at our clinic made this world-class dental care accessible financially! Esereda had been excommunicated from her village — her husband had left her, her church thought she had a demon, and socially she has lost her friends. These events were the result of a softball-sized growth coming from her upper jaw. 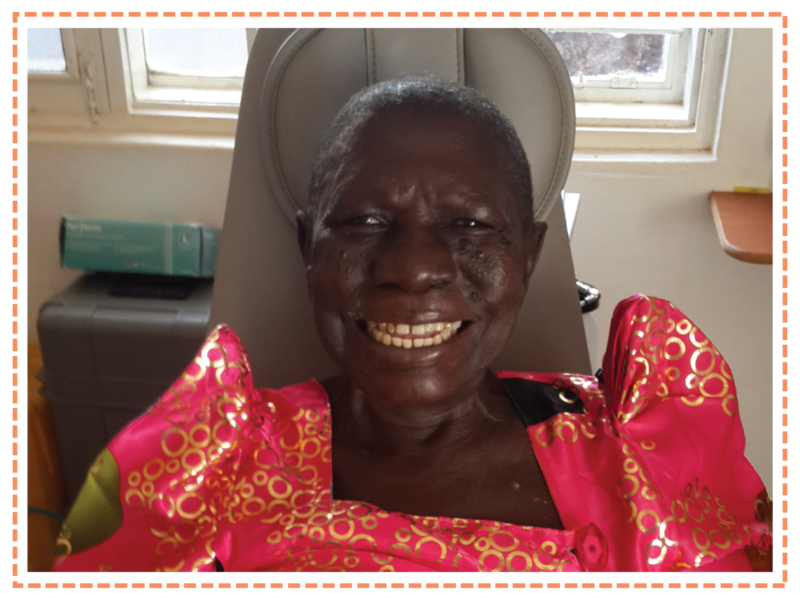 Through proper diagnosis and treatment, Esereda has been given her life back. Never forget: quality, compassionate dental care TRANSFORMS lives! “I got started on the wrong path early. I was smoking at nine, doing drugs by fourteen and in November 1979, when I was 17, I shot a federal cop. When I was arrested, even though I turned myself in, they kicked my teeth in. They have this thing, when you hurt one of their own. I don’t blame them. I crippled him and they were just returning the favor. By the time I turned eighteen, I was sentenced twenty to life I a federal prison. After fifteen and a half years of prison for shooting a federal police officer, that officer and I started a ministry together in Phoenix, AZ called Church on the Street. Hope Smiles agreed to repair my teeth. When I saw my smile for the first time, it kept me in tears for hours. Being able to smile again, to look at people. My confidence level is sky high. I talk more clearly and feel confident in what I’m doing. I feel like my life has turned all the way around. Martin came to our clinic in Jinja one day with a very serious infection. He told us he had not slept for 3 days and thought he was dying. A friend told him to go to Hope Smiles, because the local medical doctors could not help him. Martin is a local schoolteacher and thought he was going to lose his job. The Hope Smiles team educated him about his problems and provided the proper care to relieve his pain…and maintain his smile! Now Martin smiles brighter than ever, and he shares that smile with his students everyday. You might recognize him from our front page! “I had my six front teeth replaced three year years ago in April. Prior to that, I had not left my house in over four years. I was living on $600 a month babysitting in my home and the only people I would come in contact with were the children and their mother. It got to the point that I wouldn’t even leave my bedroom. I didn’t feel comfortable anywhere else in my house. You see, I was in an abusive relationship. My husband hit me in the mouth and knocked three of my teeth completely out. As time went on, three more came out with it. When I lost my teeth I hit that southern stereotype: toothless redneck hillbilly. That hit me hard. I’ve always been big, so I never thought I had anything tied to my looks. But when you don’t have teeth, people think you’re not taking care of yourself, that you’re a dirty person. I was so ashamed. Meet Anika! “I come from a dark place of isolation from being a teenage runaway, to then being introduced to drugs which lead to my homelessness. That world I lived in was not kind or loving and for me I saw no way out. While I was on the street, I was told about a program called Thistle Farms, which is a two year, rent free place, that helps women like myself. My life forever changed from community I was surrounded by at Thistle Farms. By the time I came into the program I had lost my teeth due to drugs and not having the money to go to the dentist. I thank God for loving people in the community who don’t mind helping others out.